Billy came across my radar thanks to two spots on Kevin George’s 2018 standout EP, Fortina, and he’s been impressing me ever since. A diamond in the “rough” Billy’s sound is lightyears ahead of where you would think he is. 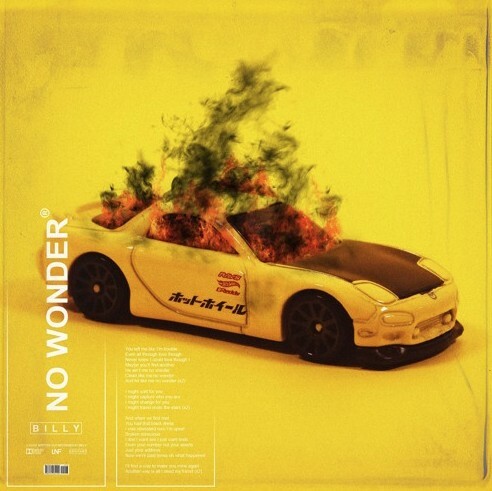 There’s so much more to the game than having great music, but as evidenced on his latest cut, “No Wonder,” it’s only a matter of time until “the rest” catches up. With a vocal effort that weaves between singing and rapping with an emotional, atmospheric filter, “No Wonder” will certainly resonate with rap fans. While he excels in that realm, ultimately it’s the pop undertones he sneaks into the music–here it’s in the productions drum-driven backbone–that gives him that irresistibly catchy, pop-centric sound. Get in on the ground floor while you still can!